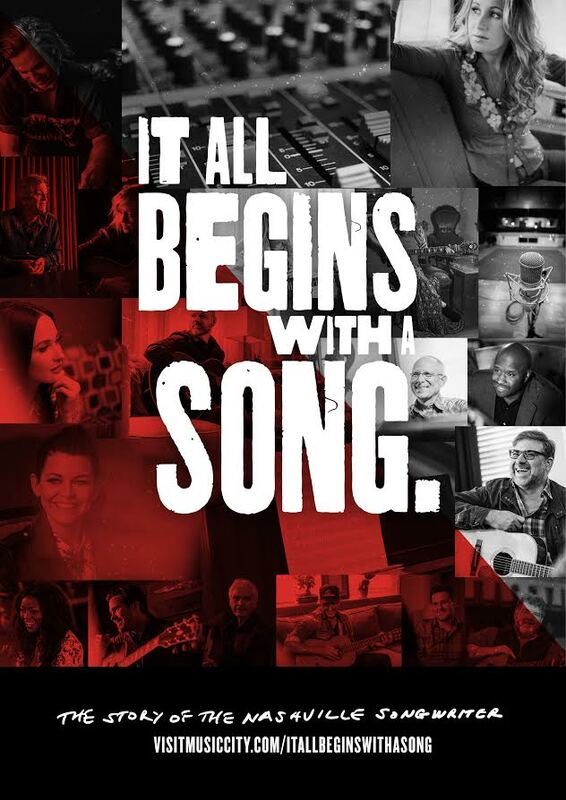 Derived from over 100 hours of interviews with Nashville songwriters, It All Begins With A Song features interviews with Rodney Crowell, Bill Anderson, Bob DiPiero, Jessi Alexander, Mac Davis, Shane McAnally, Brett James, Caitlyn Smith, Claude Kelly, Mikky Ekko, Brandy Clark, busbee, Desmond Child, Garth Brooks, Jeffrey Steele, Kacey Musgraves, and so many more. The film also included candid interviews with the late, great Lari White, and paid tribute to Guy Clark. Many of the songwriters featured in the film were in attendance at the screening, like Lee Thomas Miller, Tony Arata, Craig Wiseman, Connie Harrington, Victoria Shaw and more. Produced by the NCVC as a marketing tool, along with John Godsey and VML, a global marketing agency, It All Begins With A Song was directed by Chusy Jardine of Plan A Films. The CEO of the NCVC and an executive producer of the film, Butch Spyridon, was on hand to provide a brief introduction to his work and to answer a few questions. This was not the NCVC’s first go at memorializing Nashville’s music community, nor will it be it’s last, Spyridon confirmed. They released a documentary chronicling the story of ‘Music City’ called For the Love of Music: The Story of Nashville in 2013. In the future, Spyridon told the audience the NCVC may be interested in telling the story of the musicians. 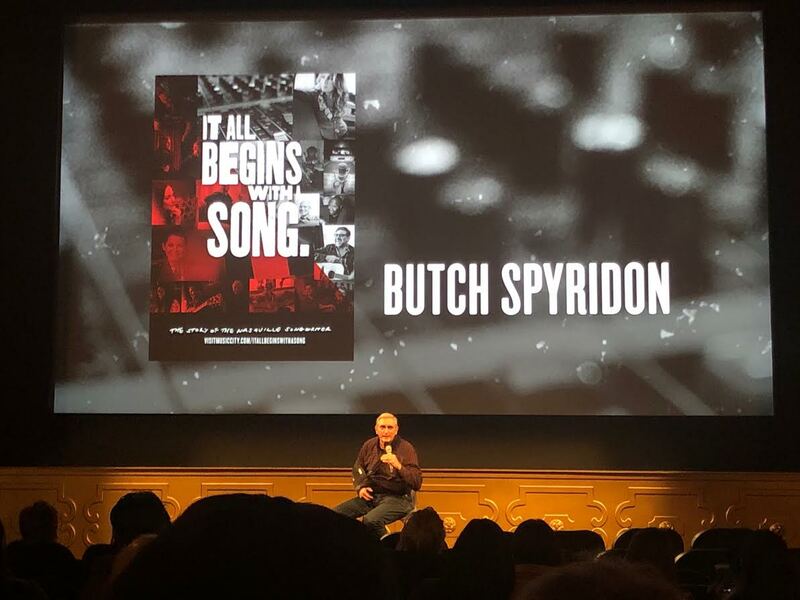 In a featured article about the film in MusicRow‘s 2018 Publisher Issue, Spyridon said: “Our goal was to make you laugh, make you cry, and we had to inspire.” And that they did. There was not a dry eye in the room by the end of the heart-warming documentary. Spyridon did not let the audience in on a release date or location for the film to be watched, but assured the crowd that it was being shopped worldwide to major buyers. It All Begins With A Song has already been awarded three Silver Lions at the Cannes Lions International Festival of Creativity.